The Das Liddle Stik is 1.8 MB. Larger files take longer to load. This is the Das Liddle Stik listing page, here you can download the plan, article and see the main thumbnail and extra images. Das Liddle Stik was designed by Phil Kraft & Larry Leonard, first published in RC Modeler Magazine (RCMplans plan #346) in May 1968. Originally named Das Liddle Stick, Phil Kraft dropped the letter C from STICK to be STIK. With a 46-inch wingspan this is a scaled-down version of the Phil Kraft Ugly Stik. With a .19 engine (or an equivalent electric motor), it will fly quite well and provide a great many hours of flying pleasure. 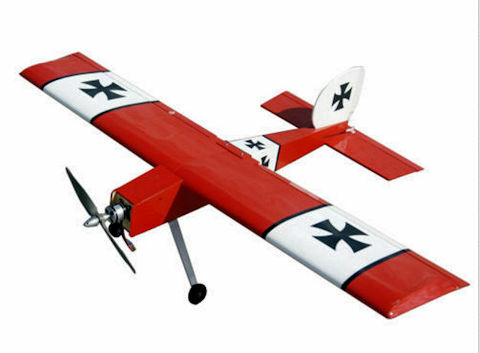 This model is an excellent choice for the novice or beginner to build as well as learning to fly radio control model airplanes. The landing gear configuration can be a traditional tail dragger are a tricycle landing gear both having advantages and disadvantages for the novice flyer. There are many versions of plans copying the design of Das Liddle Stik. Some are called Ugly, Das, Big, Ultra, Homemade, Kit, Generic, etc... And are foam "kits" from many foam plane manufacturers and hobby shops. These are the details for the "Das Liddle Stik" plan. If you would like to become a plan editor and help us to edit the attributes of all the plans in the website please click the "Edit Attributes" button below. Order your Das Liddle Stik prints today! The Das Liddle Stik plan can be printed on plain paper, tracing paper or polyester film and shipped worldwide. This tool allows you to calculate the cost of printing and shipping the Das Liddle Stik plans and its building article if available. If you need to resize a plan please contact us with the ID:80646 and the desired wingspan. I will calculate a price upon request, please contact me here mentioning this PlanID: 80646 and the job you wish me to do. 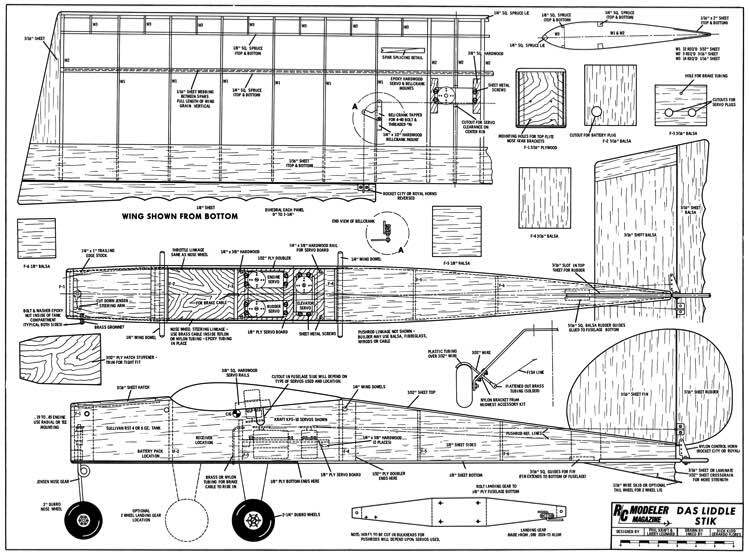 This plan is 1.8 MB and was shared by our member kenb on 26/03/2015 13:01 in the PDF Bitmap Wood Model Airplane Plans (2) category. It has been downloaded 591 times. There are currently 36 users online downloading from 23045 available model airplane plans.